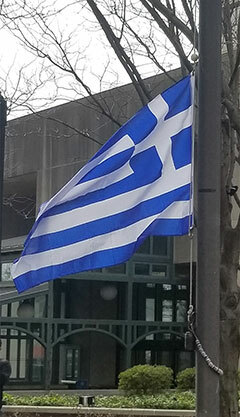 Wilmington Mayor Mike Purzycki today joined Delaware Governor John Carney in proclaiming Monday, March 25, 2019 as Greek Independence Day at a flag raising ceremony in Freedom Plaza outside the Louis L. Redding City/County Building, 800 North French Street. Michael Klezaras of the American Hellenic Educational Progressive Association (AHEPA) and Dr. Marina Mattheoudakis, Dean of the Greek Immersion Program at the Odyssey Charter School, along with dozens of Odyssey students, were among those in attendance at this morning’s commemoration. 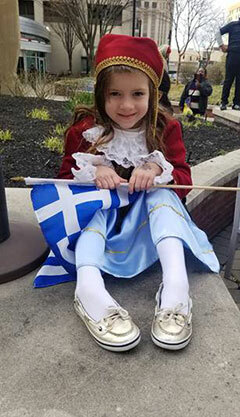 During today’s ceremony, students from the Odyssey Charter School sang “The Star-Spangled Banner” in English, followed by a rendition of the Greek National Anthem (“Hymn to Liberty”) in Greek as the national flag of Greece was raised. Lyrics to the Greek National Anthem in both Greek and in English are included at the end of this release. 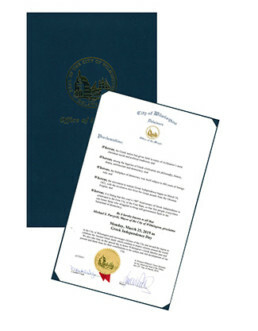 To view the ceremony, click here. In 2006, Odyssey Charter School opened its doors as Delaware’s first mathematics content focused, 2nd language (Greek) elementary education charter school. Since then, Odyssey has provided Delaware families with a classical approach to public education. A rigorous standards-based curriculum and instruction in the Greek language is delivered in a challenging, yet nurturing, learning environment. Current enrollment is over 1800 students in grades K-12; the diverse student body includes students from seven different public school districts. 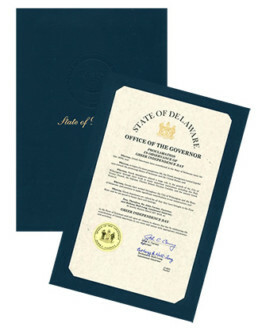 Odyssey Charter School was rated a Superior School by Delaware’s Department of Education in 2008, 2009, 2010 and 2011.